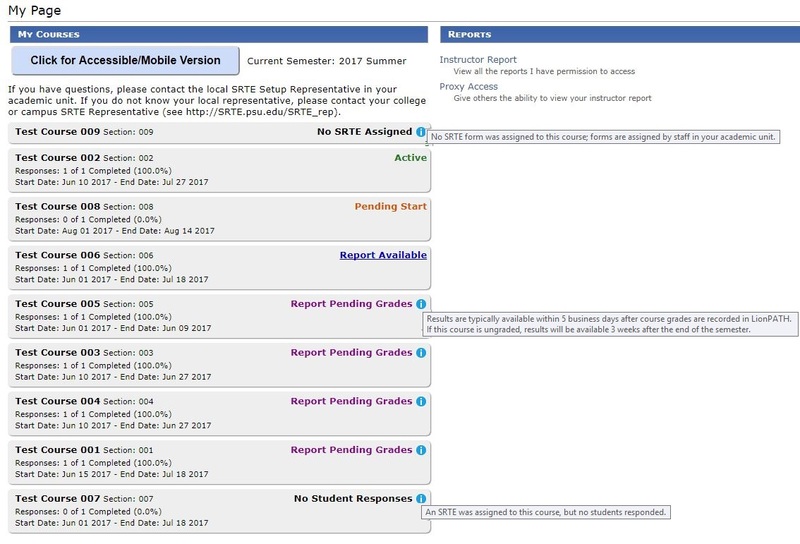 Instructors may follow along on the status of their SRTE offerings and results. Information hovers provide additional explanation on the status. Questions about the status of your SRTEs should be directed to your local SRTE Setup Representative. If you do not know your local representative, please contact your college or campus SRTE Representative. A sample screen shot is provided below.